Long Legs Daddy is free adventure game for Windows 8 and 8.1 users. This is a highly addictive game developed by Touch Games Studio. 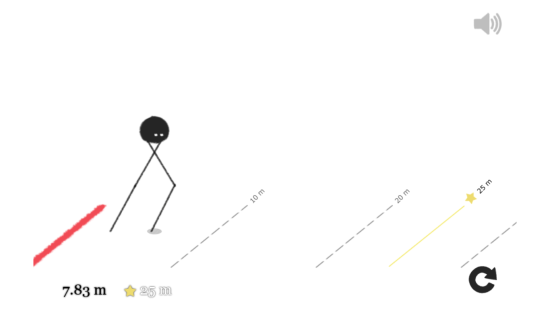 Help the hairy creature with long legs to walk, and make high scores. It has really long legs, and controlling it might prove to be really difficult. So, play this adventure game for Windows 8, and experience it yourself. To install this adventure game for Windows 8, go to the Windows 8 App store and search for it in the search bar. You can also follow the below mentioned link to download Long Legs Daddy. The game only requires 420 KB of space on your Windows 8 PC. This free adventure game for Windows 8 has minimal graphics, and funky sound effects. Playing this game is pretty simple, as it requires just mouse clicks to play. However, controlling this game is a pretty difficult task. The long legged hairy creature stands at the starting point. Click the mouse to begin playing. On clicking the mouse, Long Legs Daddy begins to walk. On each click of the mouse, the creature changes the stepping leg. The gameplay sounds pretty easy, but as the creature has long legs, balancing it is really very difficult. Change the steps at accurate moment, and reach as far as you can. The path is marked in meters so that you know how much you have reached. As you fall for the first time, the game displays a high score in meters. Play again to break your own record. Whenever you break your own record or high score, the game displays the high score. This adventure game for Windows 8 displays a Yellow screen with score when you win. If you were unable to reach your high score, a Red screen appears without the score, and only an option to restart the game. This awesome game gets addictive as you play it, as you will want to break your own high scores. You can turn off the sound if you want. Not many options are available in this adventure game for Windows 8, but it turns out to be really interesting. A minimalist approach has been followed with the game design and the gameplay. This super addictive adventure game for Windows 8 is a bit difficult to control. 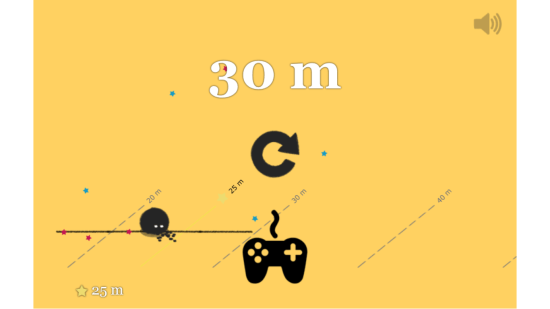 Even after failing several times you will like to play this game and reach the farthest point. 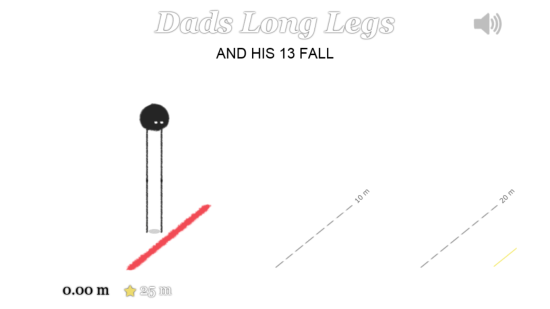 Download Long Legs Daddy for Windows 8 and 8.1.